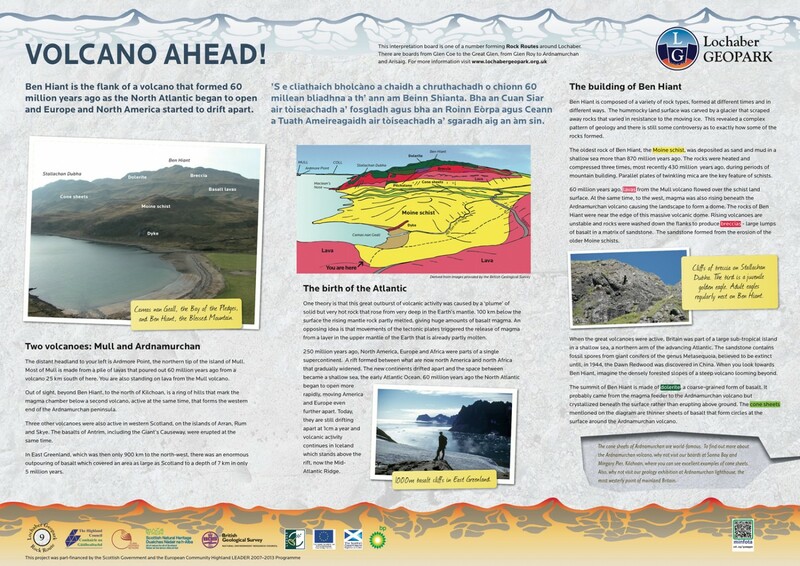 An interesting interpretation board providing an oversight of the geology of the region with reference to origins of Ben Hiant, a mountain which rises to a height of 528m and dominates the Ardnamurchan peninsula. 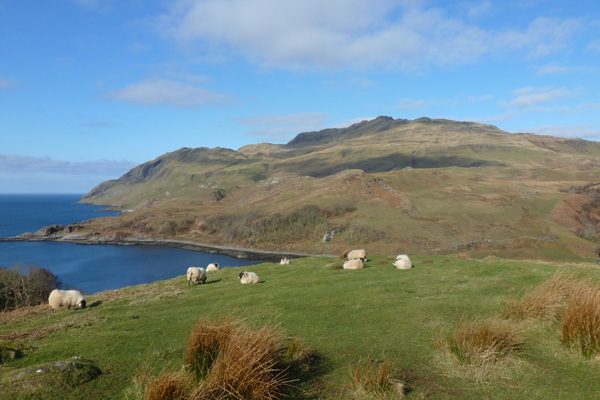 This interpretation describes the geology of Ben Hiant, and the important role volcanoes have played in the region; western Scotland has five volcanic centres (Ardnamurchan peninsula, Mull, Rum, Skye and Arran). 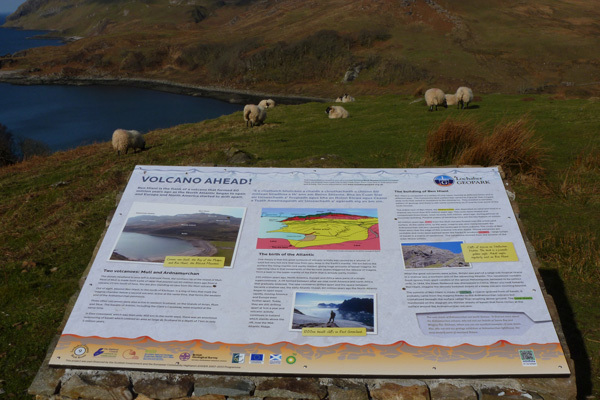 The board describes how Ben Hiant is the flank of a volcano, formed around 60 million years ago, and illustrates its diverse geology (quartz-dolerite, breccias, pitchstone, basalt lavas, cone sheets and Moine schist). The board is located in a large layby overlooking Camas na Geall by Ardslignish off the B8007. An excellent, well sited, interpretation board on the geology of region.